In the following article we will help guide you to the easiest life insurance policies with a focus on providing you with the best possible premium on your coverage. At TermLife2Go, we have a method on finding our clients the best life insurance rates. We focus on the niches of the best companies offering individual life insurance for a particular health or lifestyle. So you’ve decided that you need life insurance, and now you’re just trying to figure out what type of policy you want, and how much coverage you’re going to need. Now we’ve already covered both of these topics in several other articles, see our Life Insurance 101 page and Top 10 Reasons to Buy Life Insurance. In this discussion, we’re going to cover several different types of life insurance policies available, as well as provide a few examples where each of these policies might be a good fit for you. The cost of the life insurance policy must be reasonable! With that said, let’s dive right into it. We’ve chosen to list the top 10 easiest life insurance policies in alphabetical order because, while some may be easier to get than others, it’s important to consider everything about the individual policy being listed rather than simply focus on how easy it is to get approved. By listing them alphabetically, it will give you a chance to review each insurance carrier on their total merits and not jump to any immediate conclusion based on their numerical ranking. *Note: Accidental death policies will not be considered on this list because they’re not considered “true” Life Insurance policies. For more please visit our review of American Amicable. At TermLife2Go, we love American National Life Insurance Company. With a solid “A” rating by A.M. Best and a solid line up of simplified and guaranteed issue life insurance products to choose from, American National Life Insurance Company is always going to make our list as one of the easiest and fastest life insurance policies to get. The three American National Life Insurance Policies that we would like to highlight as some of the quickest and easiest to qualify for are the Freedom Term, the ValueGuard and the Legacy Whole Life. But you will need to answer several medical questions to determine eligibility. The approval process for both of these policies should also be very quick. In “reasonably” good health, with no major health concerns. Taking few, if any prescription medications. A prescription data base check will most likely be performed during your application process. And applicants should also not have any previously denied life insurance applications on their record. To be approved for a quality, term life insurance policy up to $250,000 or a whole life insurance policy up to $150,000 quickly, WITHOUT HAVING TO TAKE A MEDICAL EXAM. For more, see our review of American National Life Insurance Company. Another strong option to consider when it comes to finding an easy life insurance policy to get is Americo’s line of simplified term and whole life products. Americo’s simplified issue, term life insurance policy. Guaranteed level premiums for the life of the policy. Americo’s simplified issue, whole life insurance policy. Coverage for your entire life, up to age 120. Coverage amounts of 5, 10, 15, 20 and $25,000 dollars. No waiting period for coverage, (AKA. Graded Death Benefit). A 31 day free look/trial period. Taking few if any prescription medications. And applicants should not have any previously denied life insurance applications on their record. With over 123 years of providing life insurance coverage and an AM Best insurance rating of “A”, it would be difficult not to include Assurity’s simplified issue on our list of quality life insurance products that are easy to qualify for. Assurity’s NonMed Term 350 is a simplified term life insurance product that provides coverage up to $350,000 in coverage. Available for clients between the ages of 18 and 65. And there’s no medical exam required to qualify for it. Who are looking for more than just a $100-250,000 in coverage. Who are also in “reasonably” good health, with no major health concerns. And who do not have any previously denied life insurance applications on their record. For more, see our review of Assurity Life Insurance Company. It’s difficult not to include Fidelity on our list of the top 10 easiest life insurance policy to get. After all, Fidelity does have an “Excellent” rating with A.M. Best and their unique Fidelity Life Hybrid Insurance policy, has been a leader in the industry for the last couple of years! However, we have noticed that with the emergence of several other “More aggressive” insurance carriers in the market right now, our use of Fidelity’s Life Hybrid Insurance policy has certainly dropped in recent months. The nice thing about Fidelity’s Life Hybrid Insurance is that it is a quick and easy way to get approved for life insurance fast. Approvals typically take less than 48 hours, and “true” life insurance coverage begins right away. The downside to the policy is reflected in its name “Hybrid”. Hybrid: defined as something have two kinds of components that produce the same of similar results. In the case of Fidelity Life Hybrid Insurance, “Hybrid” refers to the fact that once you are approved prior to taking any medical exams, your get about one-third of your coverage amount as term insurance and the other two-thirds as accidental death only. After you receive your policy, you will then have up to 6 months to take a medical exam and go through traditional underwriting. If you pass, your entire life insurance policy will then become traditional coverage. However, if you don’t pass underwriting after your medical exam, you still get to keep your “Hybrid” mix of term and accidental insurance. We’ll it is kind of, but when it was brand new, and there weren’t a lot of other non-medical life insurance options to choose from, it was revolutionary. But for now, Fidelity’s Life Hybrid Insurance policy seems a bit behind the times. Partial term life insurance coverage begins right away. Very generous height and weight ratios used in underwriting. Affordable pricing for a simplified issue policy. Able to keep 1/3 of coverage amount even if declined full coverage after medical exam. Only partial term life insurance coverage granted immediately upon approval. Does require a full medical exam within 6 months of approval in order for the policy to provide full “non-accidental death” life insurance coverage. Foresters Life Insurance Company is another one of our favorite life insurance companies when it comes to finding an easy life insurance policy to purchase. Rated “A”, excellent, by A.M. Best, the premier rating agency, you can be sure that when the time comes, Foresters Life Insurance Company will be there when you need them. Foresters also has a complete line up of products to chose from as well, however in this discussion, we’re going to limit our focus on just one of their more popular life insurance offerings, the PlanRight Whole Life insurance Policy. The PlanRight Whole Life Insurance product is a permanent whole life policy that has a guaranteed level premium with one of the lowest premium cost on the market today. In fact, we here at TermLife2Go believe that the PlanRight whole life insurance product makes Foresters one of the best final expense insurance companies currently available today. With that being said, there are health questions and requirements that must be met. Which is why the PlanRight Whole Life Insurance policy may not work for everyone. The product has three different variations Fixed, graded, and modified. For more, see our review of Foresters Life Insurance Company, or simply give us a call. While being best known for their baby food and Gerber Grow Up Plan, Gerber Life Insurance is also a major player in the guaranteed issue life insurance arena. And why shouldn’t they be! With an A.M. Best rating of “A” along with a no medical exam and no medical question whole life insurance option, Gerber can and often is the “Go to” company when it comes to insuring those with a serious medical condition. Guaranteed approval for anyone ages 50-80. No medical exam or health questions required. Fixed payments throughout the life of the policy. Policy comes with a 30 day “free look” period to ensure satisfaction. Policy comes with a 2 year graded death benefit. As with any whole life insurance policy, premiums can be expensive. Offering quick and easy term life insurance, Phoenix Life’s Safe Harbor Term Life Express should be considered by anyone looking for no exam coverage. For more on the company, please see our review of Phoenix Life Insurance Company. 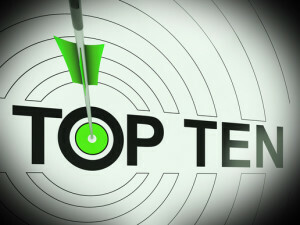 It’s tough to create a top 10 easiest life insurance policies to get without mentioning Sagicor Life Insurance Company. In fact, Sagicor is quickly becoming our “go to” provider for many of our clients today! With a strong A.M. Best rating of A- (Excellent) along with its quick and easy underwriting process, it can at times be difficult not to recommend them first even with clients who have a pre-existing condition. In fact, in our opinion here at TermLife2Go, there doesn’t seem to be any other company in the marketplace right now that offers a superior “no medical exam” term or universal life policy in terms of efficiency and ease of use. Sagicor offers three rate classes: preferred, standard, and table rated. Many of our clients who do not want a medical exam due to time constraints or a fear of needles have been placed with Sagicor. They also offer a great alternative for no exam coverage with diabetes. The face amounts on no medical exam term life insurance range from $25,000 all the way up to $400,000. The face amounts on the no medical exam universal life insurance ranges from $25,000 to $400,000. Sagicor also excels in fast approval times. A typical application for the simplified issue no exam term life or no physical exam universal life insurance policy can usually be completed in less than 30 minutes, and that’s including your wait time for approval! Founded in 1928, for the purpose of serving the small business and farming community, Transamerica has gone on to become one of the premier life insurance companies in the country today. With an outstanding A+ rating from A.M. Best, and practically zero overall consumer complaints, its no wonder that Transamerica continually ranks as one of the number one insurance companies for customer satisfaction. For this reason and this reason alone, when given an option, Transamerica life insurance should always be at the top of anyone’s list when considering which insurance company to go with. Generally, easy issue life insurance policies such as a simplified issue policy (no medical exam required) or a guaranteed life insurance policy (no medical exam or health questions required) should be reserved for the “very healthy” or the “very sick”. FI you have a pre-existing condition such as diabetes, depression, previous heart condition, etc… chances are you will not qualify for a simplified issue life insurance policy that just asks a few medical questions. That is because insurance companies are going to want to know more about your specific health condition than can be learned in just a few questions. For clients who have a medical history or are taking several prescription medications, taking a medical exam can be a good thing! Because a medical exam can be used to “justify” why they deserve to be approved for life insurance and prove that they’re in great shape! So while it’s great to know that there are options out there for someone to get life insurance fast, for some, the easiest life insurance policy to get is one that is submitted to the right insurance carrier and DOES REQUIRE A FULL MEDICAL EXAM. See how we go the extra mile for our clients with Pre-Existing Medical Conditions. We are an agency focused on aligning the best company at the best price with each individual client’s needs. We do this by discovering what your unique health and lifestyle is and tailoring a policy to meet your needs. With dozens of top rated life insurance companies to choose from we are bound to have the right product for you. Give us a call today and see just what TermLife2Go can do for you! We hoped you enjoyed our Fast and Easy Life Insurance Policies to Get article. If you have any other questions about the companies feel free to leave a comment below. my father veteran is 89 and my mother dementia 86 .
cant afford it to be to expensive. appreciate any direction or idea. Once you get into your 80’s, life insurance tends to be a bit pricey. Our recommendation would be to just give us a call when you have a chance and we’ll go over your options with you. My wife has TIA’s on disability, and has had several back surguries. She has a spinal stimulator amd is the age of 43. What would be the best life insurance policy for her? my son has has been turned down twice due to a positive drug test 10 years ago. He is not the same person and is healthy etc. who will give him life insurance? A positive drug test 10 years ago seems like an unlikely reason why your son would be turned down for life insurance, if he were to apply today. Now, it’s theoretically possible that your son is simply choosing to apply for life insurance with the “wrong” life insurance companies (companies that are just too strict). However, at first glance, it would seem to us, that there must be a more likely cause for his recent life insurance denials other than a positive drug test that occurred 10 years ago. But without speaking with him directly, we simply wouldn’t know. For this reason, if your son is truly interested in giving it “one more try”, we would encourage him to give us a call directly so that we might be able to uncover any “potential issues” prior to actually applying for a third time.